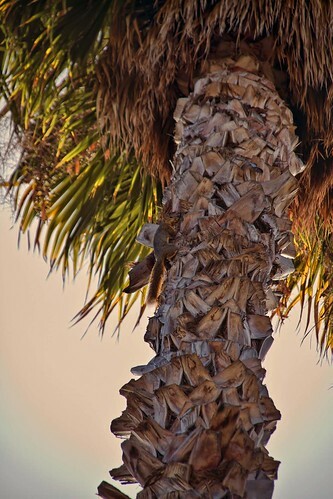 On a recent walk, I started noticing all the different kind of palms growing in our neighborhood. 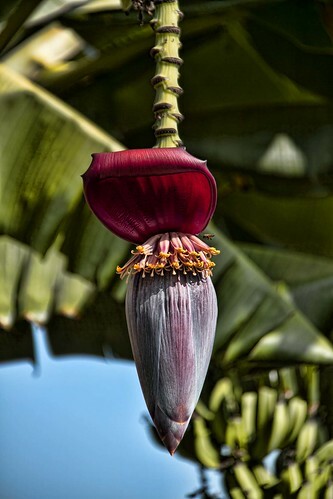 This interesting blossom is on a banana palm. 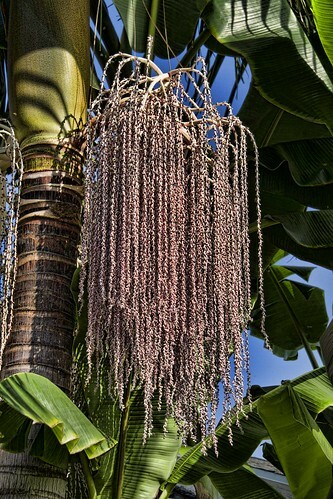 This next one was next to the banana palm and might have been part of it, but I wasn't sure. But this "fruit" or whatever it was certainly was interesting. It also had dozens of flies buzzing all around it.